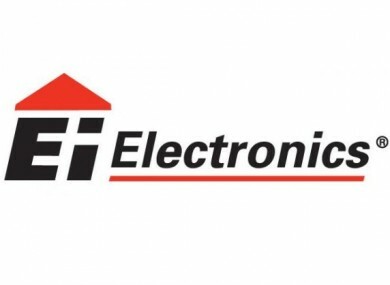 SOME GOOD NEWS from the jobs market this afternoon; Shannon-based firm Ei Electronics has announced plans to hire 20 new workers by the end of the year. Fifteen of the jobs will be based at the company’s Shannon Free Zone facility, while a further five of the positions will be based overseas. The process will bring the total workforce to 500. The company manufactures fire safety products, including smoke and carbon monoxide alarms. According to local Fine Gael Senator Tony Mulcahy, “Ei Electronics is sending out a positive message to the wider manufacturing sector that this part of the country remains a good place to do business in despite the downturn in the domestic economy. “As an Irish company, I think Ei Electronics has shown the way for other indigenous firms to continue to invest in their operations and in doing so play a central role in rebuilding the local, regional and national economy. The company is holding an open day this Sunday at its Shannon plant to is marking its 50th anniversary. The event begins at 11am. Email “Twenty new jobs announced at Shannon-based electronics firm”. Feedback on “Twenty new jobs announced at Shannon-based electronics firm”.